Good morning! We're seeing a lot of enthusiasm around our March Madness referrals, so we want to keep it rolling with a special Pick'em contest for the Sweet 16 and Elite 8. Start sharing: Click here for your unique link. Michael Avenatti, who rose to fame last year as a lawyer for Stormy Daniels, was arrested yesterday and charged with attempting to extort more than $20 million from Nike. Avenatti's co-conspirator in the extortion scheme is celebrity attorney and CNN legal analyst Mark Geragos, the Wall Street Journal reports. In response to the news, CNN promptly fired him. What's happening: According to the indictment, Avenatti and Geragos met with an in-house lawyer for Nike last week, claiming to represent a former AAU coach who had evidence that Nike employees paid at least three players. Avenatti allegedly threatened to make the payments public at an upcoming news conference unless Nike paid his client $1.5 million. He also demanded that Nike hire him — yes, the guy literally trying to extort them — to conduct an "internal investigation" of the company, for which he would be paid more than $9 million. BOLD strategy, Cotton. Just in: The AAU coach that Avenatti was representing is reportedly Gary Franklin Sr., who led a team known as California Supreme. Recent alumni: Reigning No. 1 pick Deandre Ayton (also involved in Adidas scandal); Pacers rookie Aaron Holiday; UCLA freshman Shareef O'Neal (Shaq's son); Oregon freshman Bol Bol; many more. Look: Franklin Sr. pictured with Ayton at last year's NBA draft. 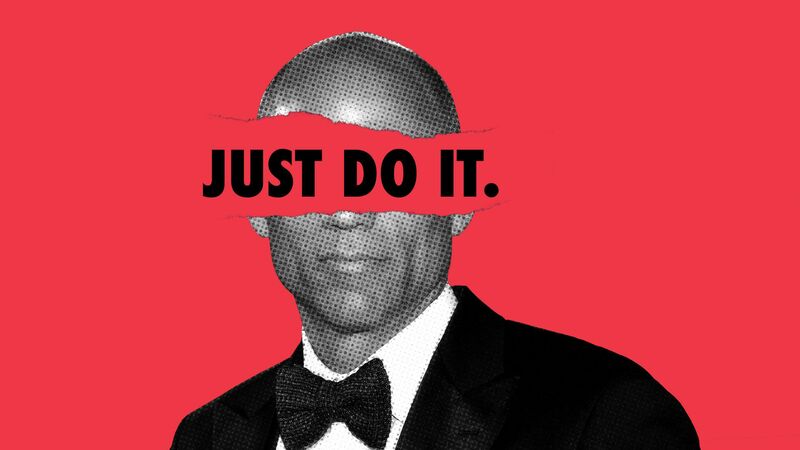 Be smart: Lost in the Avenatti headlines is the fact that Nike may have paid college athletes in the same manner as Adidas — the company at the center of the ongoing college basketball bribery scandal. 🎬 Watch: The Netflix documentary "At All Costs" explores the high-stakes world of AAU basketball. One of the teams it focuses on? California Supreme. I watched this like a year ago — highly recommend. Look: For all you visual learners out there, the U.S. Attorney's Office for the Southern District of New York shared a timeline of what they believe happened. All four No. 1 seeds and all four No. 2 seeds took care of business in the second round, but the No. 3 seeds stumbled, with three falling victim to upsets last night. (6) UCLA def. (3) Maryland, 85-80: Sophomore Michaela Onyenwere scored 30 points and the Bruins snagged a whopping 27 offensive boards to complete the comeback and advance to the Sweet 16 for the fourth straight year. (6) S. Dakota State def. (3) Syracuse, 75-64: First-ever Sweet 16 for the Jackrabbits, who haven't lost a game since Jan. 6. Next up: Oregon, led by the sensational Sabrina Ionescu. (11) Missouri State def. (3) Iowa State, 69-60: After taking down No. 6 seed DePaul in the first round, the Lady Bears were even better last night, shooting 39% from deep to advance to the Sweet 16 for the first time since 2001. What's next: The Sweet 16 starts on Friday. "[Shortstops] hit 571 home runs last season, the most in history, after they'd set the record in 2017, and in 2016 before that." "Those tallies are just one piece of evidence of a broad change to the position's profile: Shortstops across the league are sluggers now, or, at the very least, they're no longer the offensive black holes they resembled in years past." "I think when my dad played, it was more like, you need to be able to field, and if you can't hit we'll live with it. Nowadays, you gotta be able to hit, and if you can't field, you know, we'll figure it out." The big picture: Let's compare the top five home run leaders at the shortstop position through the years. UFC star Conor McGregor, 30, unexpectedly announced his retirement from mixed martial arts yesterday. "Hey guys quick announcement, I’ve decided to retire from the sport formally known as 'Mixed Martial Art' today. I wish all my old colleagues well going forward in competition. I now join my former partners on this venture, already in retirement. Proper Pina Coladas on me fellas!" The response: "He has the money to retire, and his [Proper 12] whiskey is KILLIN it. It totally makes sense," UFC president Dana White told ESPN. "If I was him, I would retire too. He's retiring from fighting. Not from working. The whiskey will keep him busy, and I'm sure he has other things he's working on." Be smart: McGregor has retired on social media before (2016), but returned to the Octagon a month later in a highly profitable second fight against rival Nate Diaz. The fight game, more so than maybe any other sport, is all about storylines. Oftentimes, "retiring" and then coming out of retirement is the easiest way to guarantee more eyeballs and money. After infamously trying an underarm serve against Rafael Nadal during his Acapulco title run last month, tennis prodigy and provocateur Nick Kyrgios doubled down on the tactic to win two points at the Miami Open yesterday. While some purists took offense to the serve, saying it wasn't in the "spirit" of the game, others applauded Kyrgios. "The whole point of tennis is to disrupt your opponents game by applying pressure through changing the speed, spin, direction, depth or height of the ball. And that includes the serve. Kyrgios is a genius. I’m surprised more players don't do it." 61 years ago today, Sugar Ray Robinson became the first fighter in boxing history to win a divisional world championship five times after defeating Carmen Basilio to regain the middleweight title. The backdrop: Robinson went on a 91-fight unbeaten streak from 1943 to 1951 but retired in 1952 after losing the light heavyweight crown to Joey Maxim. Two years later, he returned — and won his fifth and final title at age 37. The first-ever NBA Finals Game 7 was played on April 21, 1951 between the Royals and the Knicks, with the Royals prevailing 79-75. Question: The Knicks hailed from New York City. Where were the Royals from? Milan-San Remo, the longest one-day race in pro cycling, took place in Italy over the weekend, with 26-year-old Frenchman Julian Alaphilippe picking up his seventh win of 2019. The 185-mile race dates all the way back to 1907 and features mostly flat ground and gorgeous coastal views. It's one of the five "Monument" Classics — the most prestigious one-day races in the sport. The other four "Monuments": Tour of Flanders (Belgium); Paris-Roubaix (France); Giro di Lombardia (Italy); Liège-Bastogne-Liège (Belgium). NFL: The NFL's annual spring meetings bring rule changes, draft rumors and, most importantly, an awkward photo of all the head coaches. NBA: Prayers up for Blazers center Jusuf Nurkic, who suffered a gruesome leg injury last night and is done for the year. ... Meanwhile in Utah, Devin Booker dropped 59 points on the Jazz — in a 33-point loss. Wrestling: Penn State wrestling just won its eight national championship in nine years. Go deeper (or look at photos from the weekend). MLB: The league's average salary is set to drop for an unprecedented second straight season, the AP reports. This year: $4.36m; 2018: $4.41m; 2017: $4.45m. Pickup hoops: This dude made a map of every public basketball court in New York City. Spoiler alert: There are a lot.